Was this copying or just a creative coincidence? Find out more! 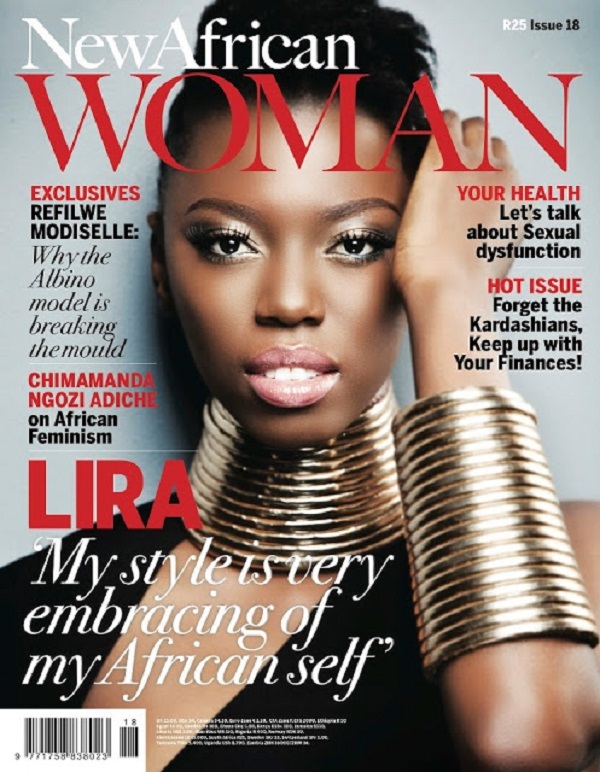 Earlier this year South African singer Lira graced the cover of New African Woman magazine in gold jewelry and bangles. The look was a hit on the shelves. 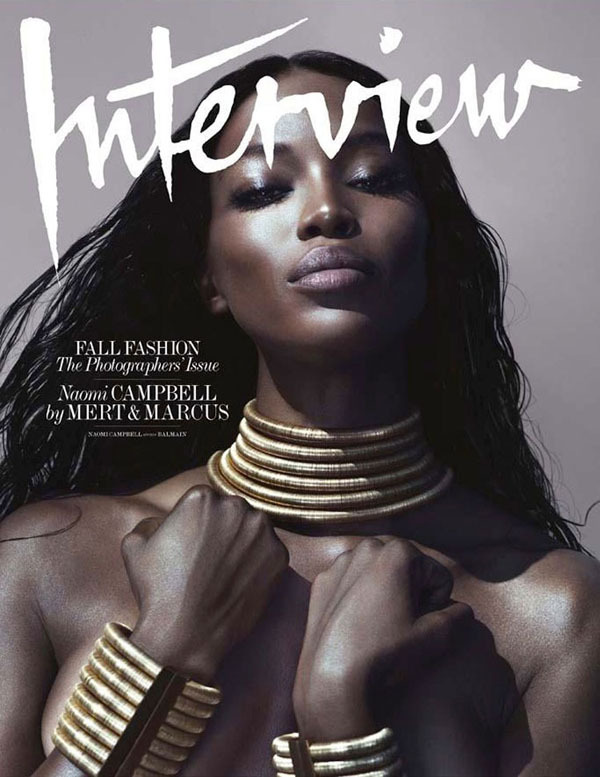 For the September 2014 Interview magazine cover supermodel Naomi Campbell rocks a similar look. 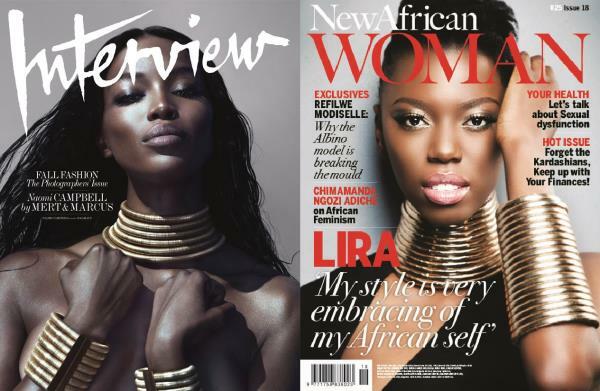 Was the look that good that Interview decided to emulate it with Naomi or was it just a creative coincidence. What do you think?